A bench headed by Chief Justice Dipak Misra directed the government and the Medical Council of India (MCI) to permit the petitioner colleges to admit students till September 5 for the 2017-18 academic session and allot seats in the MBBS course through central counselling as per merit. In the case of Sridev Suman Subharti Medical College, Dehradun, the bench, also comprising Justices Amitava Roy and A M Khanwilkar, observed in its judgement that despite the apex court asking the competent authority to reconsider the matter, “it opted to pass a cryptic and mechanical order which suffers from the vice of non-application of mind, if not perverse”. The said judgement, which had been pronounced on the 30th August, 2017, then became the basis of following judgements of other medical colleges, pronounced on 31St August. The verdict came on the pleas filed by a medical college managements which had moved the court against various orders passed by the competent authority debarring its college from admitting students for two academic sessions, besides authorising MCI to encash bank guarantee of Rs two crore offered by the Institute. In the case of the Dehradun medical college, the apex court clearly noted that reconsideration of the matter by the Centre was a mere formality in this case and no sincere effort was made by the competent authority to analyse the materials placed on record by the college. “This is nothing short of abdication of statutory duty.That cannot be countenanced especially when the matter was sent back to the competent authority by this court vide order dated August 1…,” it said. It\’s a terrible judgment! Callousness of Government cannot the cause of such illogical judgment. The Colleges in consideration are evidently grossly deficient. Motivation of such prejudiced judgment has to be much more than what meets the eye. 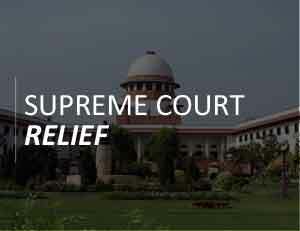 GOI should not consider SC\’s judgment as a fait accompli. If we, in India, aim to preclude \’झोला-छाप\’ doctors in our system, such influenced judgmet must be challenged in larger Bench. One of the leading causes of this motivated decision is retirement of upright \’Now Ex\’ CJI Kehar. Several Medical Colleges were waiting for this CJI to take over. We may as well now abandon the idea of improving Medical Education! It\’s a terrible judgment! Callousness of Government can not the cause of such illogical judgment. The Colleges in consideration are evidently grossly deficient. Motivation of such prejudiced judgment has to be much more than what meets the eye. GOI should not consider SC\’s judgment as a fait accompli. If we, in India, aim to preclude \’झोला-छाप\’ doctors in our system, such influenced judgmet must be challenged in larger Bench. One of the leading cause of this motivated decision is retirement of upright \’Now Ex\’ CJI Kehar. Several Medical Colleges were waiting for this CJI to take over. We may as well now abandon the idea of improving Medical Education!